When an assumption is made that something very basic, can be easily configured using OOB functionalities, that is when I find myself stuck occasionally and having to rethink on how to implement a feature. I recently had one such experience. 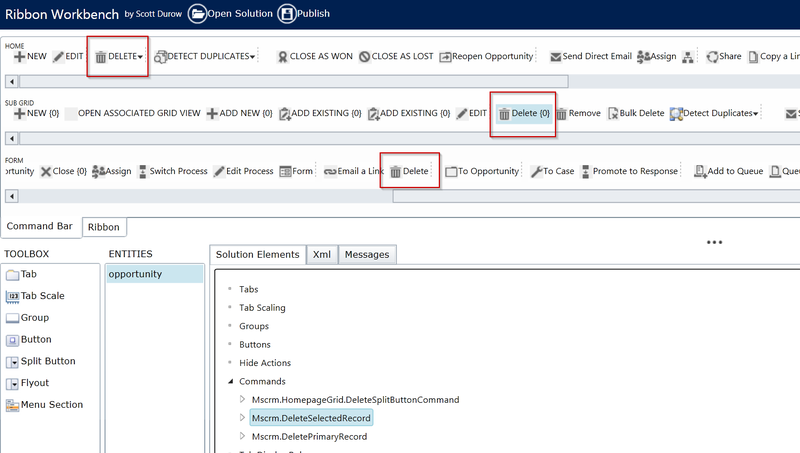 The requirement was to allow users in certain security role, to delete opportunity products, but not opportunities.My first thought was to use security role, to modify the permissions for opportunity products. To my surprise, I was unable to find opportunity products in Security Role. This change should be done on HomePage, Form and Subgrid ribbons. The code for the getOppDeletePermissionByRole itself is quite simple, as I am using XrmServiceToolkit. I did this on a CRM2011 organisation, but the process in same for a CRM2015 organisation. You’ll just be editing the command bar instead of the ribbon. 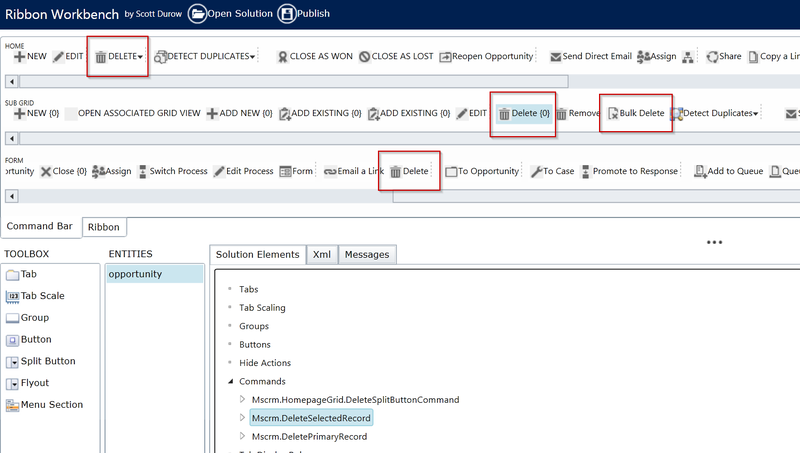 Here are the relevant buttons in CRM2015, whose command you’ll need to edit.